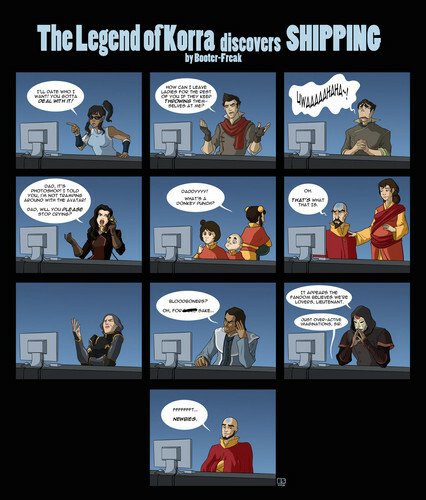 Avatar: LOK Discovers Shipping!. . HD Wallpaper and background images in the アバター ：コラの伝説 club tagged: bobos the legend of korra korra ships mako bolin asami. This アバター ：コラの伝説 fan art contains ステンドグラスの窓 and ステンド グラスの窓. There might also be スロット, 1武装強盗, 武装敵, 1 つの武装強盗, アニメ, 漫画, マンガ, and コミック.